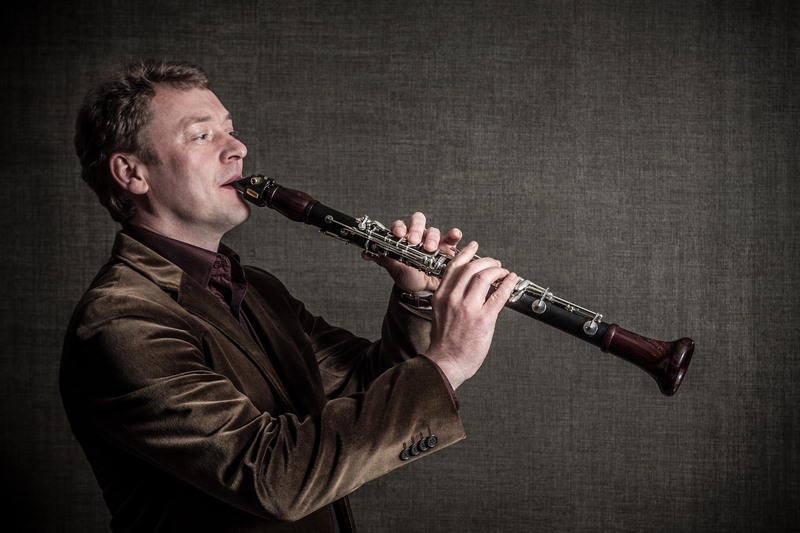 Marcel Chirilov is a multi-talented clarinettist, masterfully fluent in various musical styles, including classical, folk, jazz, klezmer and contemporary music. Born in Chisinau, he began his studies at the Eugeniu Coca School of Music (which in the 1990s became Ciprian Porumbescu College). Here he took his first clarinet lessons with the teacher Pavel Stolearciuc. After finishing school, he continued his studies at the Grigore Musicescu Conservatory of Music in Chisinau, taught by Eugen Verbetsky (Clarinet), Vladimir Rotaru (Chamber Music) and Serguei Tchebykin (Orchestral Repertoire). 2nd prize in the City of Chisinau Woodwind Instrument Contest (1989); prize for best performance of a piece by “Ciprian Porumbescu”(1991); and the virtuoso prize in the Barbu Lantaru National Contest (1994). From 1994 to 1996 he was a member of a large number of nationally prestigious groups, including the Symphony Orchestra of the Moldova Philharmonic, the National Chamber Orchestra of Moldova, the JOC dance and music troupe, and the Clari-Nova clarinet sextet, which he himself founded. In 1996 he was invited, as a soloist, to be a member of the Strauss Concert group in Italy, performing widely across Italy, France and Germany. He recorded three albums with this group, “Melodie, “Le Canzone che m’insegno mia madre” and “Bella Italia. After many years as a soloist, Marcel taught clarinet and chamber music at Chisinau Conservatory from 1997 to 2000. In 2001 he moved to Spain, where he continued his career, perfecting his technique alongside renowned figures such as Hanz Deinzer, Jose Luís Estelles, Venancio Rius and Vicente Alberola. From 2003 to 2006 he taught at the Municipal School of Music in La Coruña. Professional relationships between this school and the Guildhall School of Music and Drama in London led to various collaborations with renowned musicians including Scott Stroman (USA), Jose Acuña (Spain), Nikki Iles (Great Britain), Jean Toussaint (USA), Martin Hathaway (Great Britain), Brian Abrahams (South Africa), Miguel Cabana (Spain), and Roberto Somoza (Spain), among many others. These collaborations give rise to the “Jazz-Mass” project, sponsored by the Guildhall School of Music and Drama, to which Marcel was invited as a soloist and teacher. Marcel has participated in various recitals in collaboration with pianists such as Mariana Gurkova (Bulgaria), Julia Kjonarzewska (Poland), Rupert Twine (Scotland) and Vera Pavlova (Russia). In addition, he has also contributed as a guest teacher to various masterclasses organised in Spain and Moldova. Today, Marcel teaches clarinet, chamber music and jazz for beginners at the Garcia Rodríguez Professional Conservatory of Music in As Pontes, while also working with the Municipal Symphonic Music Band and the Galicia Symphony Orchestra in La Coruña. He is also a member of various groups, including the Gallaecia Trio, the Venezia Quartet, Divertimento Clarinet Quartet, Avalon Jazz Quartet, the Old Vienna Sextet, and the Triems Group. He plays with a Buffet Crampon vintage clarinet, Backun MoBa barrels and bells, PlayNick Solist and Behn Zinner Collection BB mouthpieces, and Steuer Exclusive reeds.